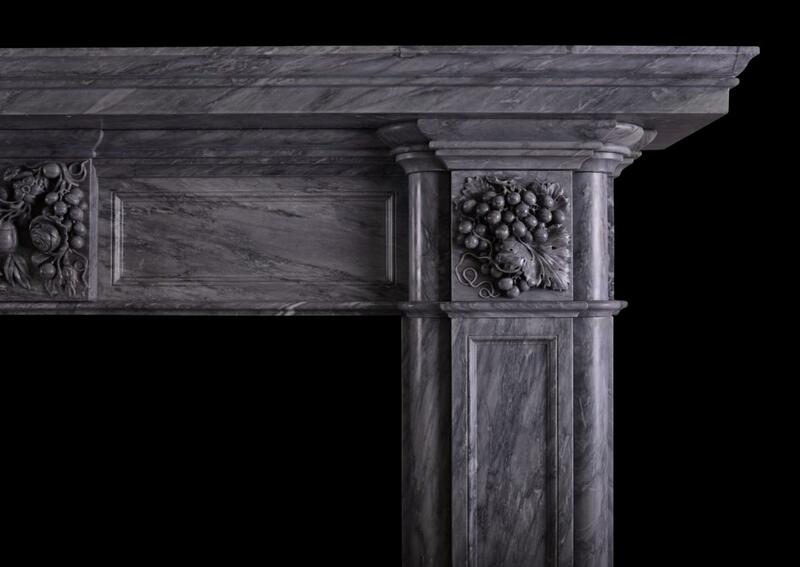 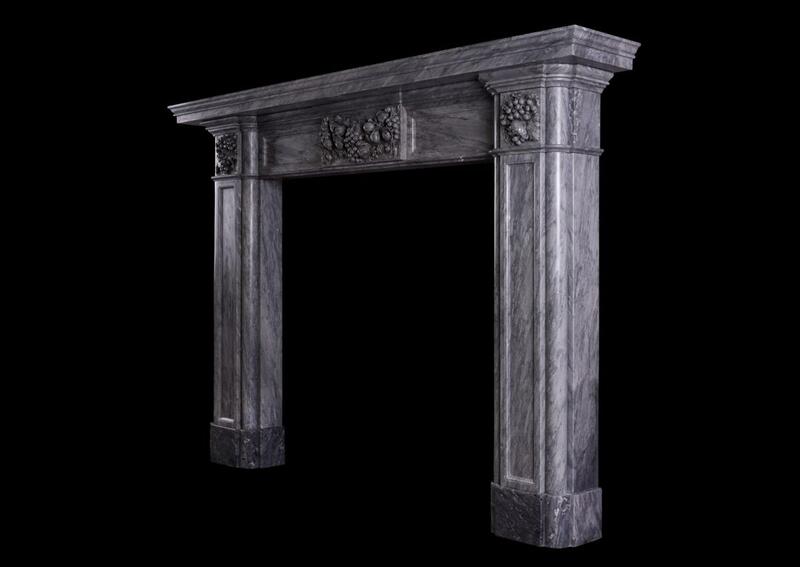 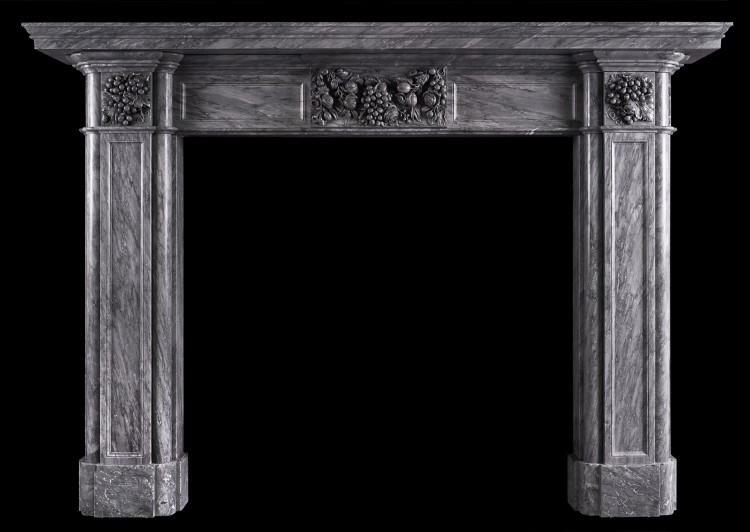 An large and impressive carved fireplace in grey Bardiglio marble. 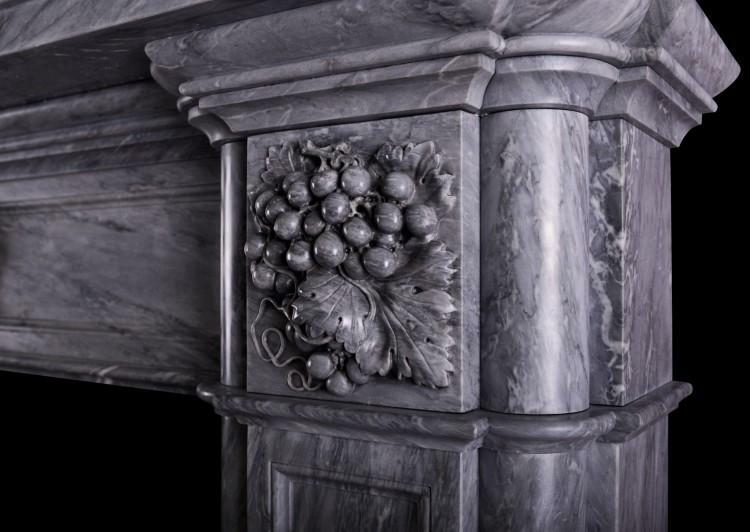 The panelled jambs surmounted by end blocks featuring carved grapes and leaves, the matching centre block with additional flowers and foliage. 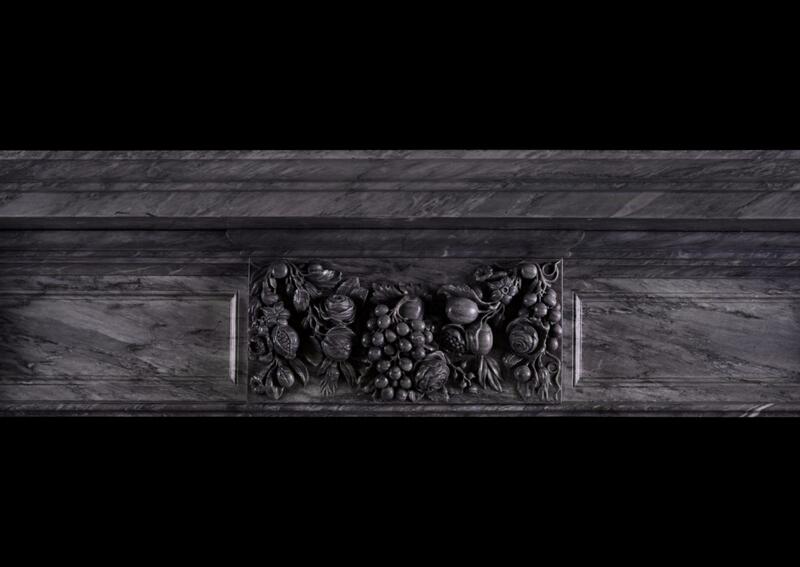 Moulded shelf above. 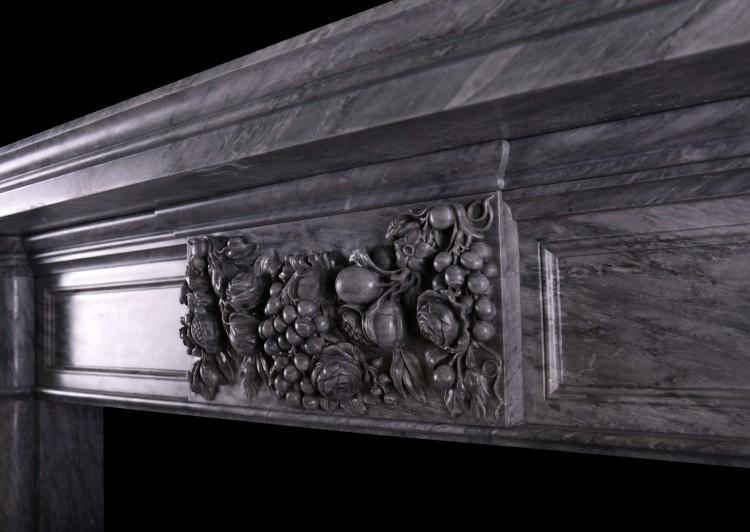 A very impressive piece. English, 19th century.